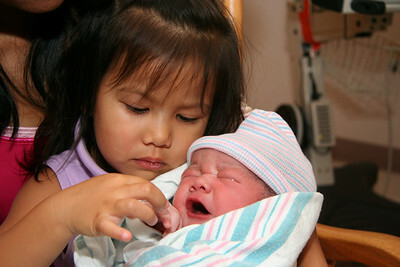 My son was born five years ago this very day. The cliche holds true to the fact that time flies right by our eyes. I can list the stages of his life more than my quintuple chins on my face. Opening his newborn eyes, grinning his face, crawling with his elbows, eating solids, walking on his own and the list goes on forever. The sanctity of the delivery room did not hold my picture and video gathering abilities. With one hand with my camera and the other on my wife's leg, my son emerged to the world of standard definition video. Little did I know that HD DSLR's would be all the rage very soon. 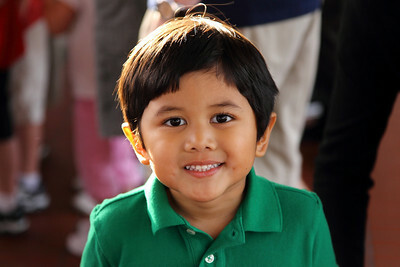 My son's birthday festivities started late last week with a celebration at his school. 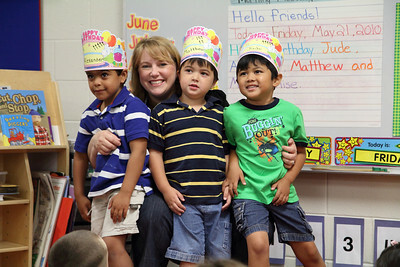 His teacher gathered all the May birthdays and had a big party. I guess you could call it a small graduation to Kindergarten for next school year. What would kick off my son's special weekend better than cake and ice cream at school? 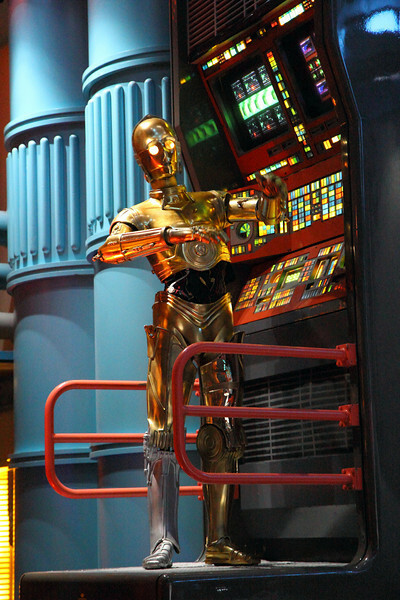 Star Wars Weekend at Disney's Hollywood Studios! Minus the skin burning heat and the mobs of wanna-be Boba Fett characters, my son enjoyed every minute of it through his sweat soaked head. I have to apologize. My Star Wars picture gathering abilities were dampened by the large crowds of tourists. Too make up for it, you can view my Star Wars Gallery of 2009. There is more than enough Star Wars eye candy to go around. 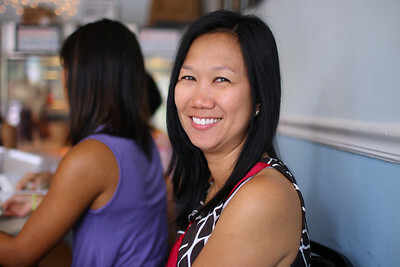 All weekend I used the Canon EOS Rebel T2i and the Canon EF-S 17-55mm f/2.8 IS lens. The T2i makes a small comeback because I have been busy with the Canon EOS 1D Mark IV. You can view more in my Canon EOS Rebel T2i Photo and Video Gallery and the Canon EOS 1D Mark IV Photo and Video Gallery. 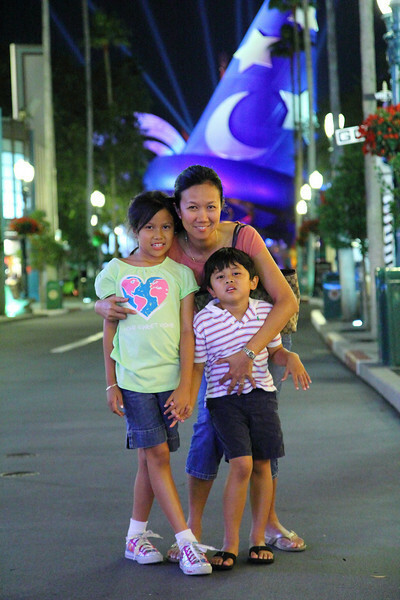 The crowds at Hollywood Studios and the heat forced my family indoors most of the time. The refuge of "The Great Movie Ride" inspired me to create another Canon EOS Rebel T2i Video Test. With no lines to the attraction and the comfort of cold air conditioning, the tribute to the movies emerged in my PhotoBlog. Our weekend would not be complete without two more things. Yummy House and a trip to the beach. A quick impromptu birthday lunch at our favorite Chinese restaurant and then an hour drive south to Fort Desoto for some beach fun. Finally! The birthday marathon weekend is over...for now! 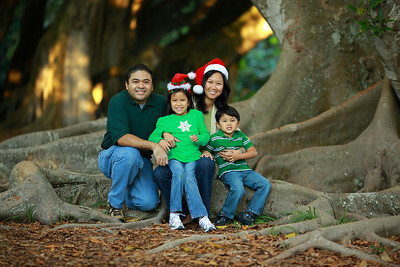 Despite personal drama and setbacks in my life, I consider myself blessed when it comes to my family. My son is my mini-clone and my daughter is my wife's clone. What could be better? You can watch a family home video I made last year with the Canon EOS Rebel T1i in Pass-a-Grille beach, FL. 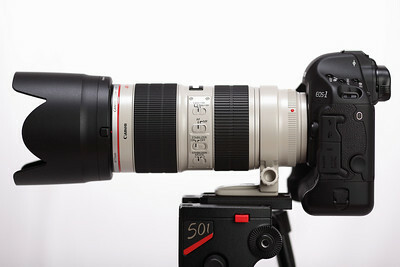 I used Nikon AF-D prime lenses with a Fotodiox adapter to overcome the automatic exposure in video mode. 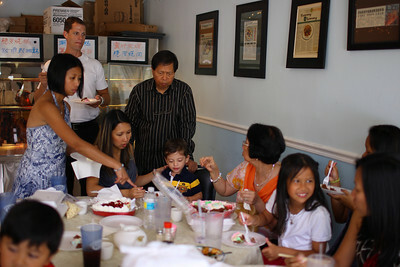 You can view more of my son's birthday weekend in this Photo and Video Gallery. 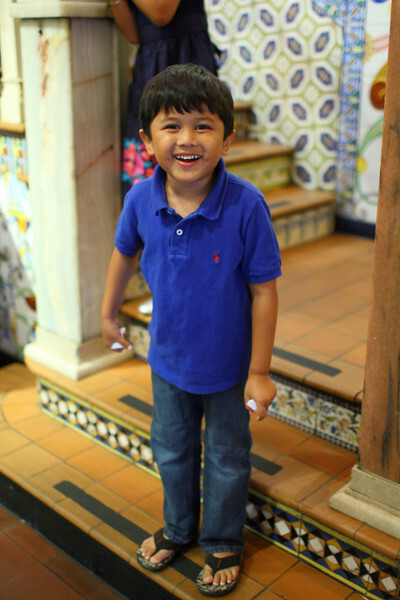 I am not kidding when I say "my son is my mini-clone". Father Bill could not have said it better. Keep your family,faith and dreams by your side. Smart words for young minds. The world is a scary place, especially High School and you will need all the help you can get. Congratulations Class of 2010 and to my first niece, Olivia. You have overcome many challenges in your life and your entire family is very proud of your achievements. The day you were born I saw you in your mother's arms and I already knew you were a very special girl. 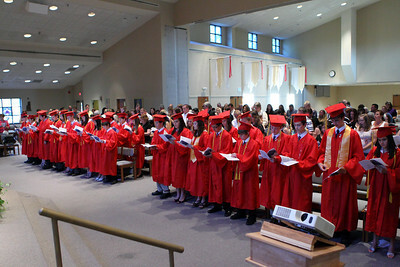 You can view more photos in the Graduation Ceremony Gallery. The gallery was shot with the Canon EOS 1D Mark IV,EF 24-70mm f/2.8 L and the EF 70-200mm f/2.8 L version 1. I thought all hope was lost when I missed the photograph of my daughter receiving her first blessed host. 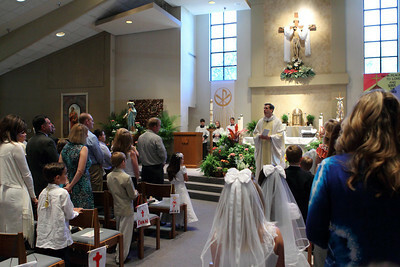 I can only describe the situation as communicant chaos. My longtime family friend from Los Angeles, California was the only one who noticed me bothered by the mayhem. He offered me a solution that turned my frown upside down. You will notice the above picture has my daughter receiving the host. That host in the picture is very special. So special, it is made of a simple paper dinner napkin. 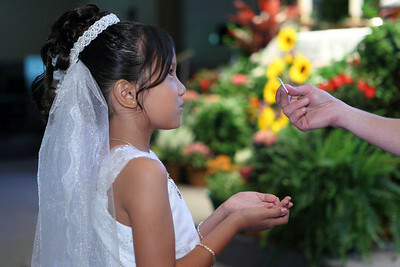 Yes, the entire shot of my daughter receiving holy communion was completely staged. I am now complete. No, the fake host is not a precursor to a staged mission to Mars landing like in the movie "Capricorn One" with O.J. Simpson and Eliot Gould. It is a celebration of turning something negative into a positive with a dinner napkin. The negative was overshadowed by all the gleeful recipients in their beautiful dresses and handsome suits. My daughter was proudly escorted by her oldest cousin up to the altar for this special day. 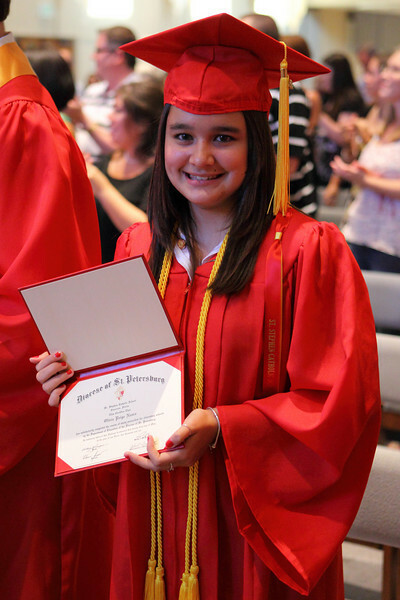 My oldest niece will be graduating this year and going to high school next year. How time flies! A once in a lifetime event had to be followed by a memorable celebration. Enter the Columbia Restaurant in Ybor City , FL. 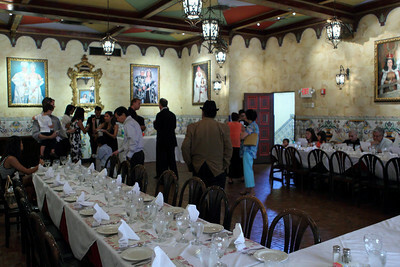 The oldest restaurant in Florida became the ideal backdrop to my daughter's Communion gala. Fabulous food and flamenco dancers filled the festive atmosphere. The entire event was shot with the Canon EOS 1D Mark IV,the Canon EF 70-200mm f/2.8L IS version 1 and the Canon EF 24-70mm f2.8 L. You can view more photos and videos in my Canon EOS 1D Mark IV Gallery. 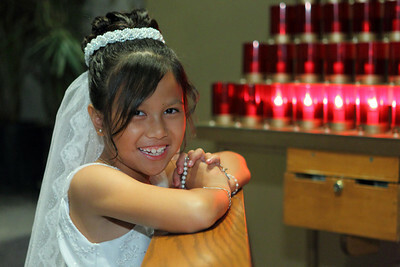 You can view more photos in my First Communion Gallery. Mark and Gabby Visit Florida ! I don't think my longtime family friends from Los Angeles, California spend too much time in the sun. It has been at least 6 years since the last time they visited the Sunshine State of Florida. To celebrate their arrival we brought them to where the sun was the most intense, the beach. I did not choose any regular beach, I chose one of our frequently visited watering holes in Sarasota, FL. 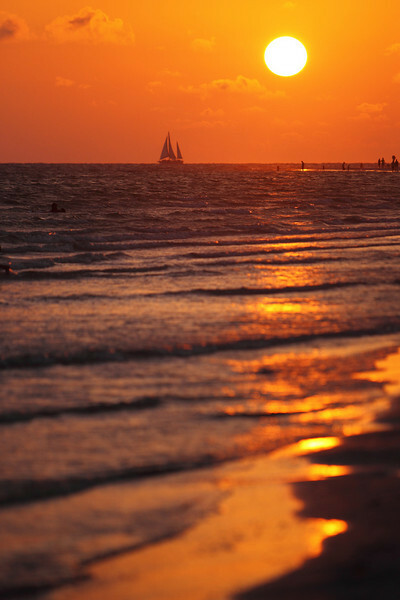 Lido Beach is a rare jewel on the west coast of Florida. Powdery fine sand mixed with nearby parking and a collection of shops and restaurants called St. Armand's Circle. 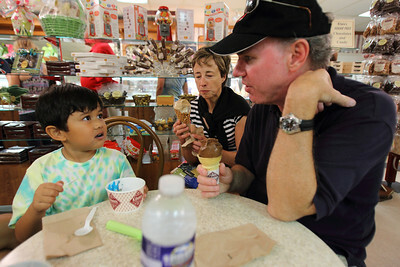 Lido Beach is the jewel of the Florida coast and Kilwin's Chocolate and Ice Cream is the jewel of St. Armand's Circle. Their toasted coconut ice cream in a homemade waffle cone is well worth the trip from California. Hopefully, it will be sooner than six years until Mark and Gabby visit Florida again. Until then, I can only PhotoBlog my many scoops of Kilwin's ice cream all the way to Los Angeles. 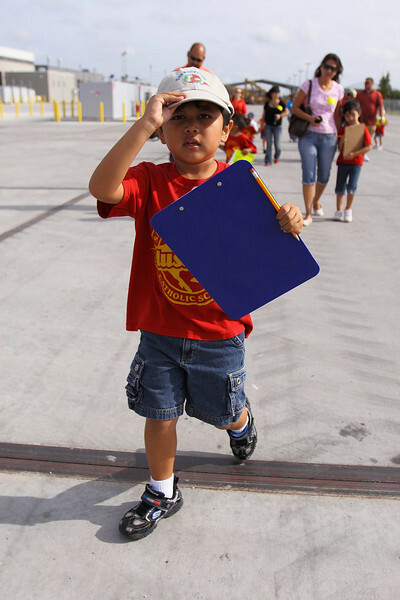 Visions of Tonka's "Mighty Dump Truck" became reality for my son and his classmates. A school field trip to Ringpower Caterpillar Heavy Equipment Facility and the local Lowe's Home Improvement started the day for my son's preschool with excitement. After the tour of the construction trucks with over sized tires, the entire class moved on to the home improvement center Lowe's down the street. I was a little wary about curious 4 year old kids wandering the hazardous aisles of a hardware warehouse. Let the scolding in public begin! 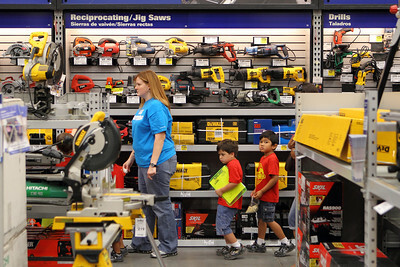 The field trip did not end as one big home improvement sales pitch to parents. 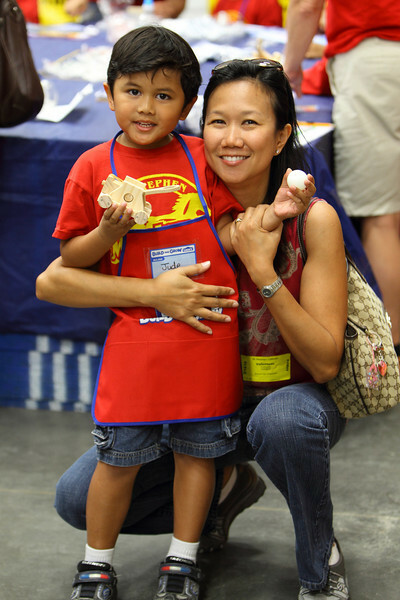 It concluded with an interactive family project to construct a wooden weapon of mass destruction. That was the only moment my interest peaked because I wanted to build my personal catapult too. Only kids get to have all the fun! The photos and video was shot entirely with the Canon EOS 1D Mark IV,the Canon EF 70-200mm f/2.8 L version 1 and the Canon EF 24-70mm f/2.8 L.
You can check out more photos and videos in my Canon 1D Mark IV Photo and Video Gallery. 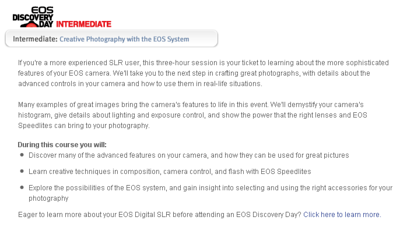 I am calling all aspiring and advanced photographers in the Tampa Bay area to attend the Canon EOS Discovery Day seminars on Saturday, May 22nd 2010. Yes, this is an obvious plug for my most favorite camera store, North Tampa Photography. I carry no shame when it comes to taking pictures. I bring that shame to even a higher level when photography knowledge is willingly shared with other passionate photographers. Meet Scott Alexander and Drew MacCallum. They are the featured Canon instructors for the day at the Clarion Hotel and Conference Center in Tampa, FL. Scott and Drew are chock full of helpful advice and instruction for any level. North Tampa Photography is expecting a large turnout of budding photographers who share the same desire for great images. More people the better, as I would say! Making contacts and networking with other photographers creates a more festive atmosphere. Go ahead and bring your gear to the seminar. 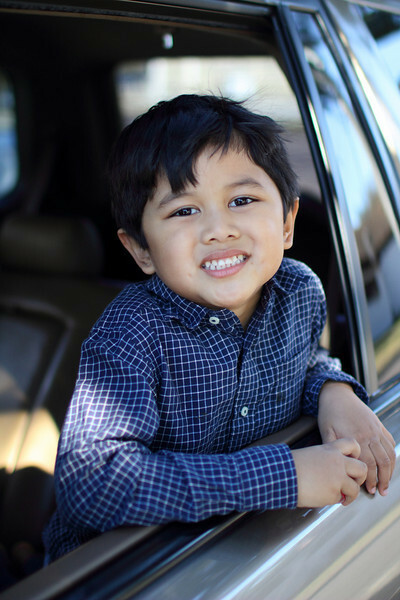 You will learn photo basics in a conventional class setting and a "hands on" approach with your own camera. Camera snobs are not welcome to this event. Even image professionals in the industry go to some type of continuing education later in their careers. So advanced photographers with some experience under their belts should not be shy to the intermediate seminars. Interested? 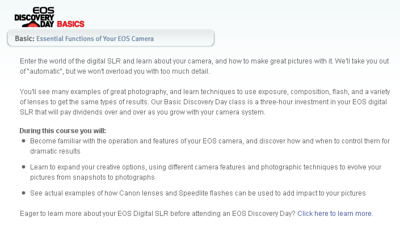 Go and sign up on the North Tampa Photography EOS Discovery site or the North Tampa Photography Facebook page. 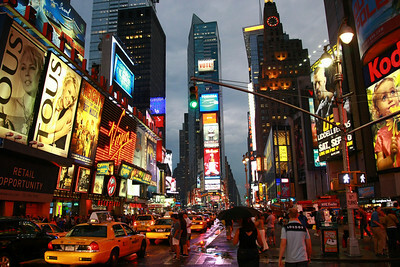 I will see you there with Canon camera in hand. I will be the one shooting HD DSLR video for my next PhotoBlog post. You should also check out the HD DSLR Videos I will be playing ,like the one above, during the whole day of the seminar in the lobby. It may inspire you to shoot some HD video yourself. Watch out Vincent LaForet and Phillip Bloom! This Mother's Day weekend my family managed to squeeze in two playoff soccer games, a First Communion Dress Photo shoot, a trip to Siesta Beach and a Mother's Day luncheon at our favorite Chinese restaurant, Yummy House. I could not have done this daunting task without the help of my wife and the mother of my children. 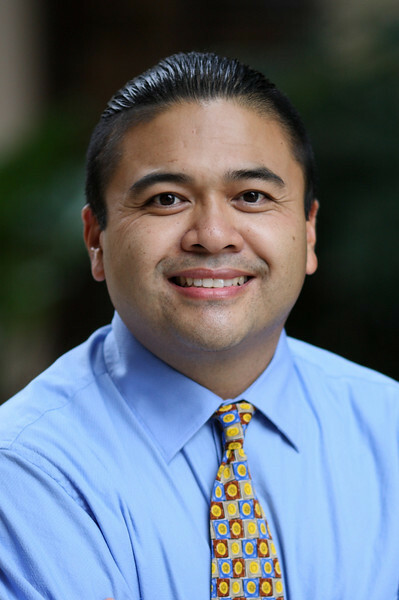 Your unconditional love and support for your family makes you a Saint (Not the Virgin Mary,of course) in my book. My mini clone says "Happy Mother's Day mommy!" My wife's mini clone says "What did you buy me lately?" And finally your loving husband says "Mahal Kita!" To complete an already busy Saturday was a trip to the beach in Siesta Key,FL. We started the day with two back to back youth soccer games and then a photo shoot with my daughter at church for her First Communion. This was followed by a family outing to Sarasota County. With Fried Chicken and coleslaw in hand, we made it to the coast line in time for a sunset dinner. Camera in hand, I captured the "Magic Hour" of photography. 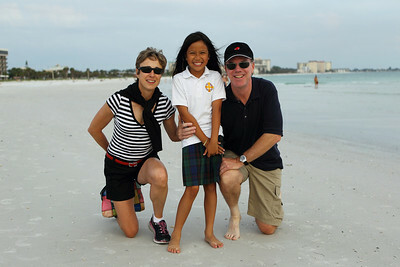 The summer days have begun and Siesta Beach is one of many coastal destinations we visited recently. 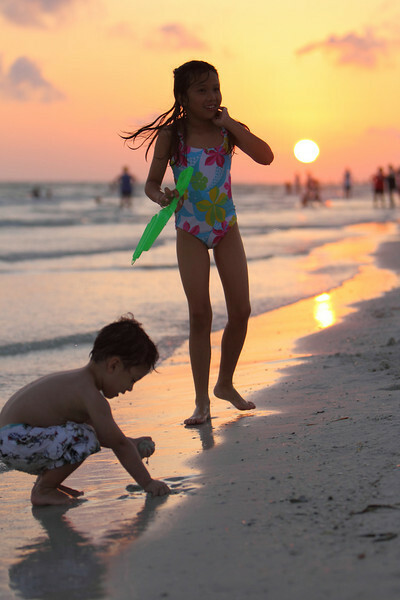 Check out Lido Beach and Fort Desoto Beach. Check out my Siesta Key Beach Gallery shot with the Canon EOS 1D Mark IV and the Canon EF 70-200mm f/2.8 IS L lens version 1. 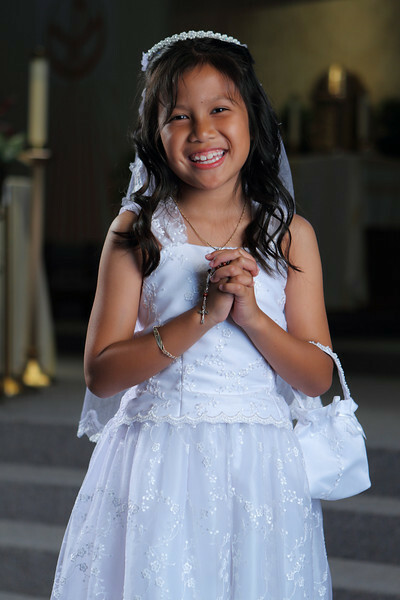 First Communion Photo Shoot ! The Blessed Sacrament soon approaches without haste. My daughter and her 2nd grade class have been preparing for their First Communion all school year. 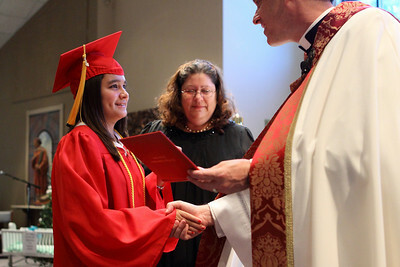 It began with Reconciliation and her religious obligations end this year with the Holy Eucharist. As you probably noticed already, her dress traveled a far distance for her special day. 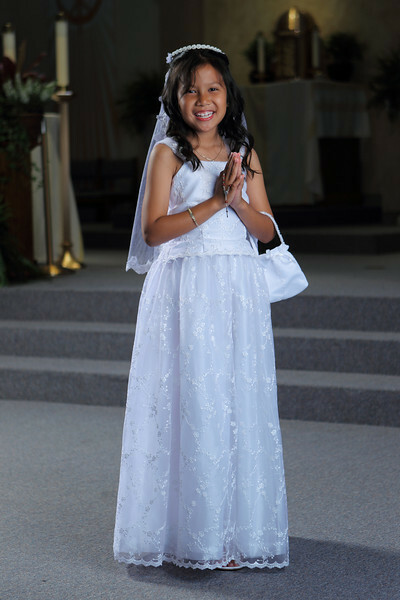 The dress was custom made for my daughter in the Philippines. The ornate material,the intricate vale and the matching purse completed the outfit. The photo shoot was quite an event. I had less than an hour at the church to set up, shoot and break down the gear before the next Mass service began. A main light with softbox and CTO gel powered by a White Lightning Ultra Zap, a circular reflector with arm stand bouncing the main light for side fill and a standalone battery powered Sunpak flash with a reflective umbrella for separation accomplished the lighting setup. 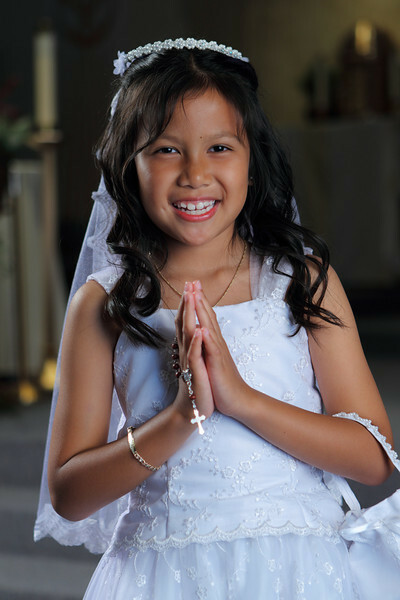 The First Communion Gallery was shot with the Canon EOS 1D Mark IV and the Canon EF 24-70mm f/2.8 L lens. Cheetahs 2nd Place in Spring Championship ! 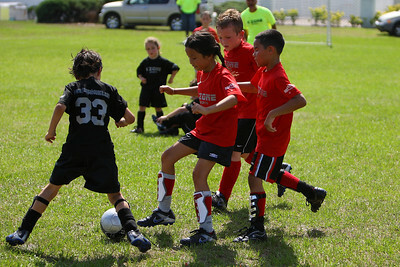 I thought my daughter's youth soccer team would never recover from three consecutive losses early in the season. 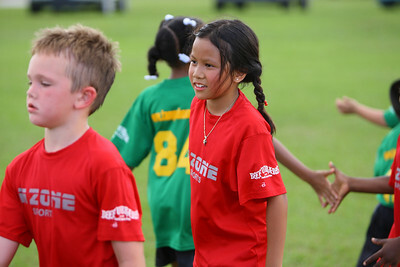 Now the Cheetahs placed second in the N-Zone Sports Spring Championship against 4 other teams. The first round of the playoff game ended in victory against the Lions. It was a nail biting game with mistakes made on both sides. 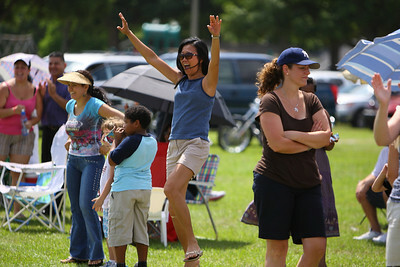 Despite the early summer heat, the Cheetahs held their own against the Lions. Triumph followed! 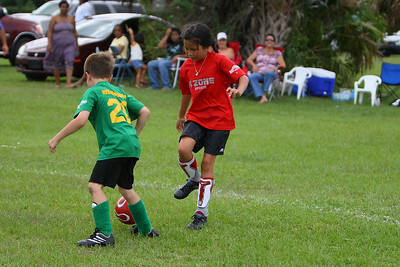 The next team, the Green Hornets, remained the undefeated champs for three years. The Cheetahs were in for a mighty challenge. Already exhausted from the first game just an hour before, the Cheetahs had to overcome a mighty adversary. The Lion's overwhelming experience got the best of the Cheetahs. Soccer goal after soccer goal, the inevitable doom approached the wary kids. Defeat! My daughter's smile still shined through the gloom of conquest by the Green Hornets. 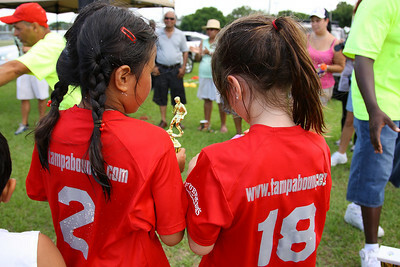 They may have lost but my daughter caught the last little bit of hope in her second place trophy. 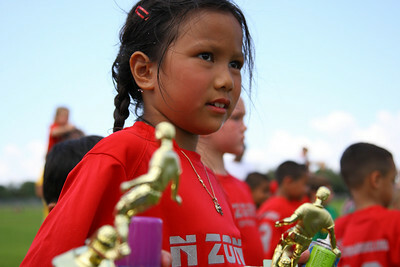 "My trophy is not a girl" said my daughter. I told her there is always next season. See more N-Zone Sports Championship Soccer Photos shot with the Canon EOS 1D Mark III and the Canon EF 70-200mm f/2.8 IS L lens version 1.